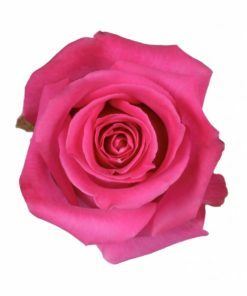 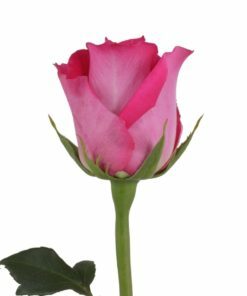 Not your typical pink rose, the Rosaprima Latin Breeze is a full bloom hot pink bi-color rose that would be great for any summer event. 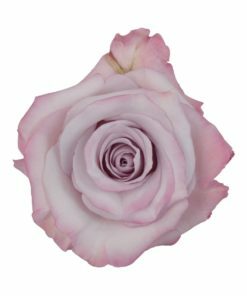 With a lightly washed white hue that radiates with pink, Latin Breeze is a gem of the natural world. 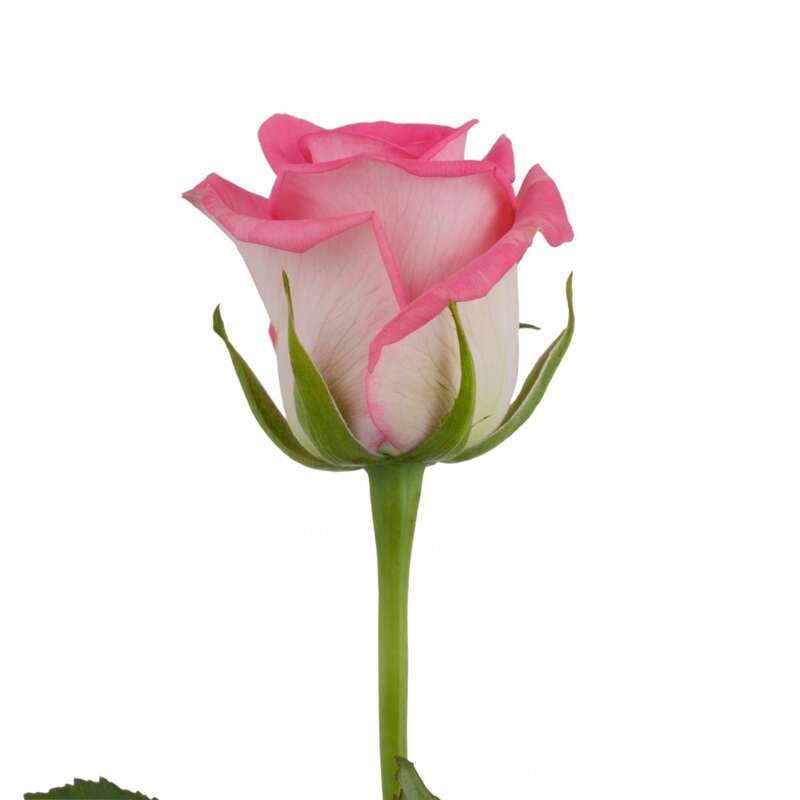 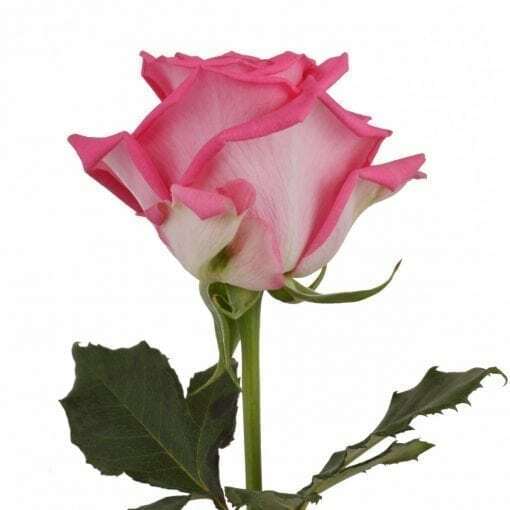 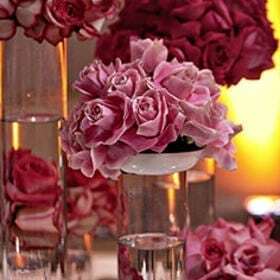 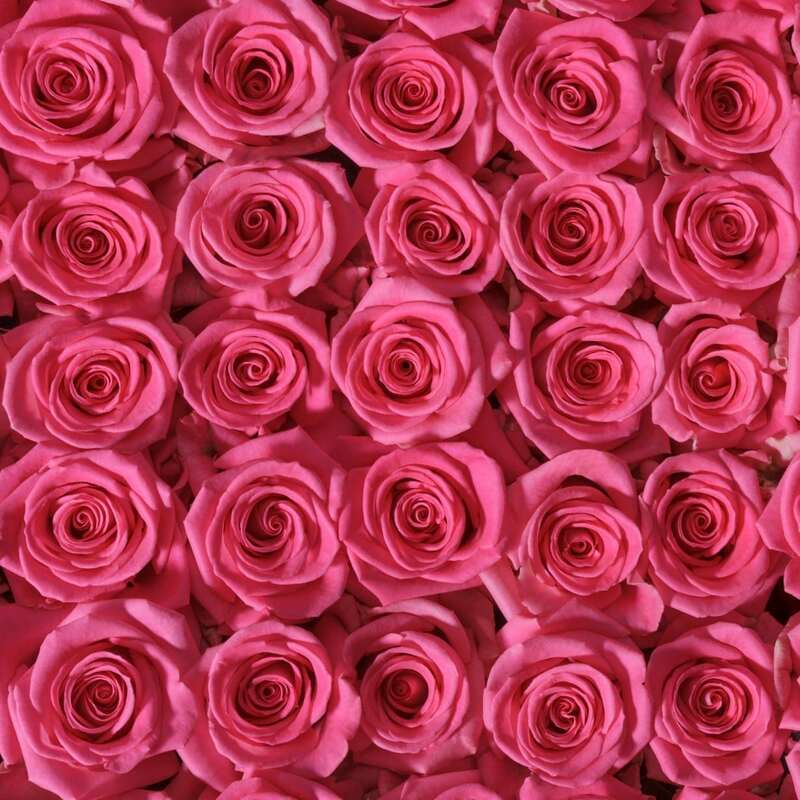 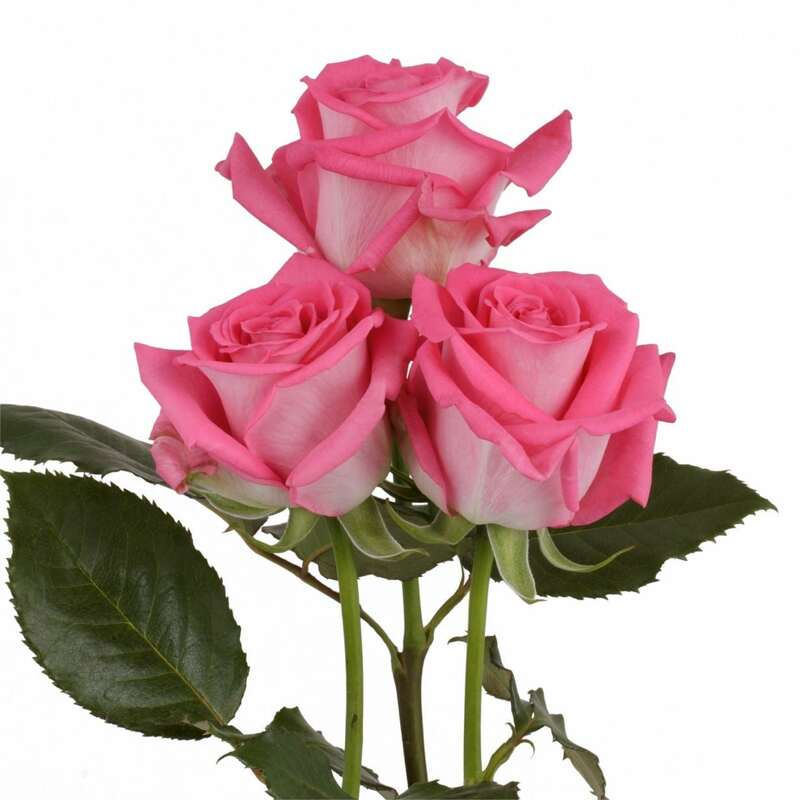 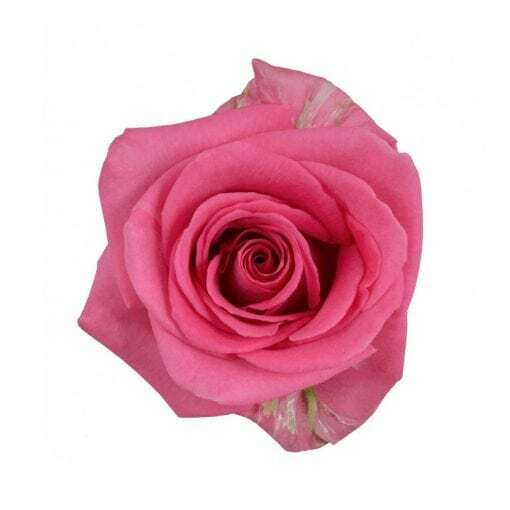 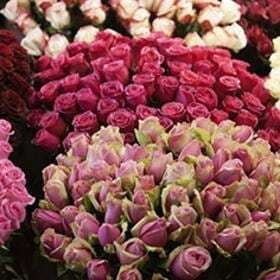 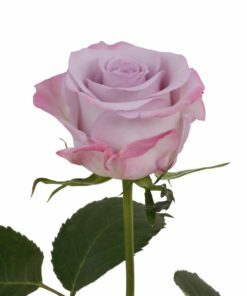 She can stand on its own or be mixed in with solid color roses to create variance.